Bolivia's once-thriving jaguar population is loping into the cross-hairs of a growing threat from poachers responding to growing Chinese demand for the animal's teeth and skull. Researchers believe there are around 7,000 of the speckled big cats in Bolivia, out of a global population of some 64,000, stretching from North America to Argentina. But such is the appetite in China's huge underground market that "if controls are not put in place, it can lead to a serious problem" for their survival, warned Fabiola Suarez of the Environment Ministry. Considered vulnerable by conservationists, the jaguar's future in the South American country is in the hands of anti-trafficking police only now coming to grips with the potential scale of the problem. Local authorities began getting reports in 2014 of trade in the animal in the northeastern area of Beni, according to Rodrigo Herrera, an advisor to Bolivia's directorate of Biodiversity at the Environment Ministry. He says the increased presence of Chinese nationals in the South American country has stimulated demand. President Evo Morales' leftist government has awarded seven billion dollars' worth of public works contracts to Chinese groups, sparking an influx of workers from the Asian giant. Herrera said each of the cat's teeth, which measure between eight and 10 centimeters, can fetch up to $100 for poachers, but that figure can reach $5,000 on the Chinese market. The feline's skull is also prized by traffickers, at rates of up to $1,000. Traffickers also sell the skin, and even the testicles, which along with the ground-down teeth, are prized by some Chinese as an aphrodisiac. While trade in the jaguar or its body parts are prohibited, the big cats have been listed as "near threatened" on the International Union for the Conservation of Nature's "Red List". Herrera said that "from every animal, a poor person can take in up to $2,000. That's a lot of money." In Bolivia 38 percent of the population lived below the poverty line in 2015, according to the most recent World Bank figures. 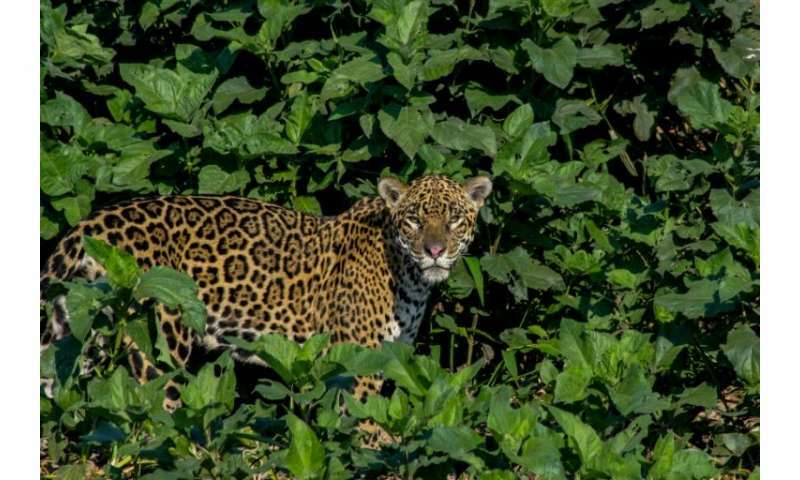 Conservationists fear the money is an added incentive to farmers who often shoot jaguars to protect their livestock. To date, Bolivian police have intercepted 400 jaguar teeth being sent in the mail to addresses in China. But Suarez, a specialist in the biodiversity department in the Environment Ministry, said this is likely only the tip of the iceberg and describes as alarming the quantity she believes has already left the country undetected. The state has belatedly begun to hit back, mounting 15 separate prosecutions, including 11 against Chinese nationals living in Bolivia, according to official data. But the trade continues. 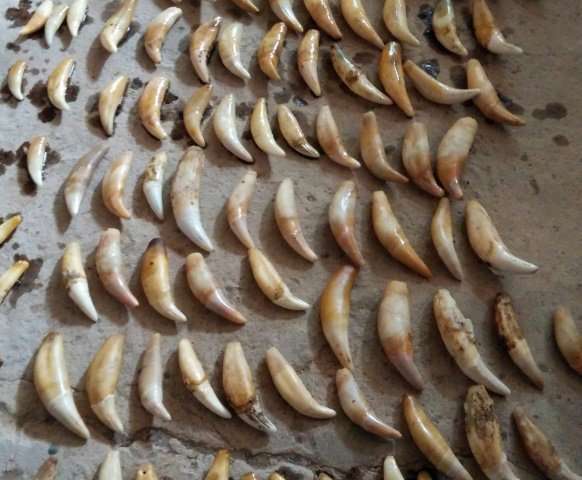 On March 19, a trafficker selling jaguar teeth and skulls on social networks was arrested in the Amazon region. Unusually, the Chinese embassy in La Paz has acted to warn its nationals to steer clear of trafficking, reminding them in a note to "respect and strictly observe the laws and regulations, both Chinese and Bolivian, against the illegal trafficking of wild animals." According to Bolivia's National Statistics Institute, more and more Chinese are coming to live in Bolivia. In 2011, there were only 2,624 Chinese nationals living in the country, but the figure jumped to 12,861 by 2016. 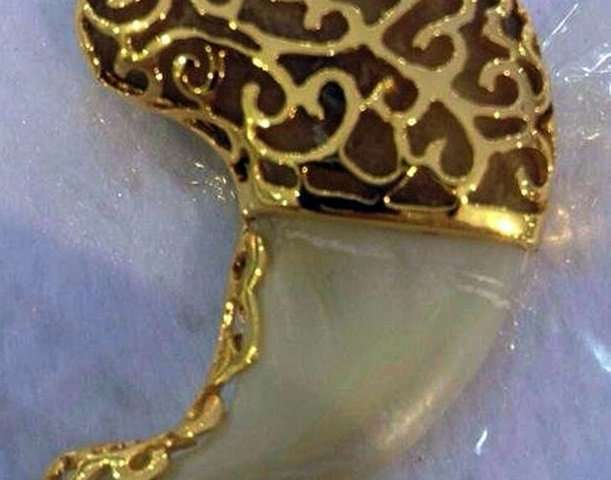 Herrera said the growing presence of Chinese has created a market back home in China, where wearing jaguar's teeth in a necklace, or attached to a key ring, is a status symbol. The largest cat species in the Americas, its habitat extends from the northern United States across South America to Argentina.